Current research shows that one of the top challenges for CEOs is the art of balancing short-term challenges with long-term goals. As the CEO of your family, you must do the same every day. Goal-setting is a skill that must be developed in each person. Children at every age can play a part in this process. As parents, you can facilitate their own goal-setting, while underscoring your own long-term goals for your children. First, start by recognizing that school is the biggest part of your childes life right now. Do you remember? To a first-grader, life is all about first grade. Ites no different all the way up to senior year. Remember, you have been through fill-in-the-blank grade. They have not. Let this be a big deal for them; listen when they tell you about it. That means putting down the laptop or iPhone, locking eyes, and listening to what happened to the class hamster today or who sat with your child in the lunchroom. Pay attention. Look for clues to what your child finds important. This information will help you in your goal-setting process for that child. Ites a new year. Get off on the right foot by setting clear expectations that all can agree to. Involve your children in their own goal-setting. Have a family meeting, maybe over a favorite meal. Talk about each persones goals for the year. Share your own. Then, help your children identify the short-term challenges to reaching their own longer-term goals. Remember, to a 10-year-old, a year is a long time. So, if she wants to make the traveling soccer team this coming summer, help her break it down and treat it as a long-term goal with short-term steps to get there. Put this in writing for each family member — or in pictures for younger children. Doing this will also support your own long-term goals for your child, all the while helping your child to learn valuable goal-setting skills. Build their trust. You have no doubt been working on this since they were born, but if you are human, you can do better. This is where that listening comes in. Children have very immediate needs that, if not met, can jeopardize entire days, weeks or months of progress toward those long-term goals. Perhaps most important, try to step back and observe your life, your parenting style and your household routines with some objectivity. You will see habits and short-term challenges that may be jeopardizing your long-term goal of raising happy, healthy, independent kids. Remember, this is a new year. Your kids are older. What can they do now to contribute to the household that they could not do last year? Work with your family to address any habits or patterns youed like to change, and involve everyone in that process. I am the head of school at Currey Ingram Academy, and this is my 25th year in education as a head. Our school has students in grades K through 12, so I meet with parents and students at all stages of this journey. However, my take-away is always the same. When I see a family whose goals are in sync, I know they will do great things together. When I see a child or teenager who has lost trust with a parent and/or who is not invested in his or her own education, I know that their long-term success is at risk. Parent CEOs: You have the toughest job on the planet. As a father of two girls and a grandparent, myself, I know this very well. I hope our monthly column will add value to your life and bring you new ideas each month for handling short-term challenges and reaching long-term goals of health, happiness and fulfillment. Paul Wenninger is Head of School at Currey Ingram Academy. 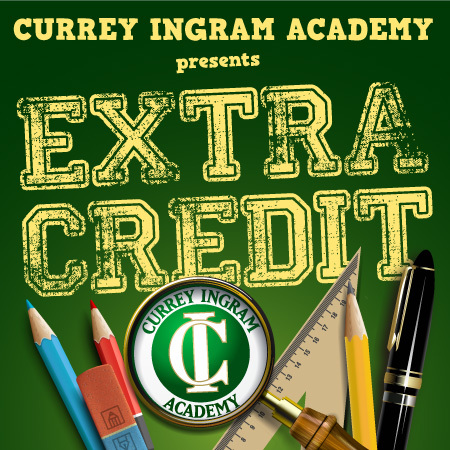 eExtra Credite is provided each month by Currey-Ingram Academy to help parents at all schools and at all stages of the parenting journey.